There are few things more quintessentially English than going for afternoon tea. And while the traditional version of the pastime remains as popular as ever, it’s also had a contemporary makeover. London, in particular, has taken the tradition to new heights, offering all sorts of inventive themed experiences. You can find cakes in the shape of planets, a whole serving based on the latest catwalk trends or a fun take on a Mad Hatter’s tea party. In short, there’s something to suit all tastes, and London’s hotels are some of the best places to find an experience that suits your mood or taste. Here’s a selection of London hotels serving inventive afternoon teas, as picked by Victoria Watts Kennedy, the blogger behind Bridges and Balloons. 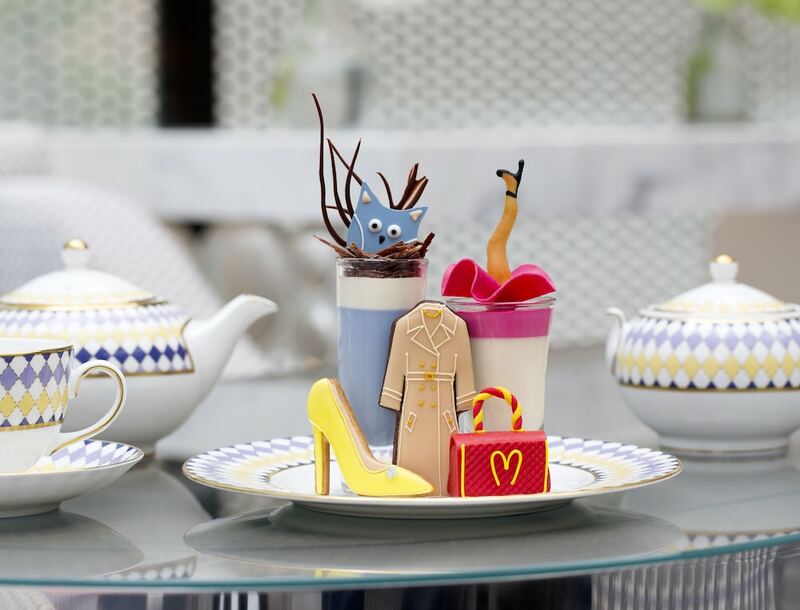 Go to the Sanderson to experience the Mad Hatters Afternoon Tea in the theme of Alice in Wonderland. Expect menus hidden in books, a music box holding the sugar, cakes in the shape of ladybirds and a fruity ‘drink me’ potion. Everything is served in pretty Mad Hatter-themed crockery and the whole meal is delicious, from the croque-monsieur sandwiches to the vanilla pocket watch macaroon. Wash it all down with some champagne, and finish up your meal with the afternoon tea classic of warm scones and jam. All this is at the Sanderson, a fashionable five star luxury boutique hotel, centrally located in the heart of London’s West End. For afternoon tea with a view, you can’t go wrong with a visit to Ting at the Shangri La Hotel at The Shard. Situated on level 35 of the iconic Shard building, the view across the city is breathtaking, taking in the River Thames, Tower Bridge, and Canary Wharf, as well as beyond to the counties of Surrey and Sussex. The afternoon tea matches the quality of the view, offering an array of exquisite pastries and miniature savoury dishes. You can opt for a classic afternoon tea or an Asian-inspired version, and the hotel also offers themed options throughout the year, such as a festive tea at Christmastime. 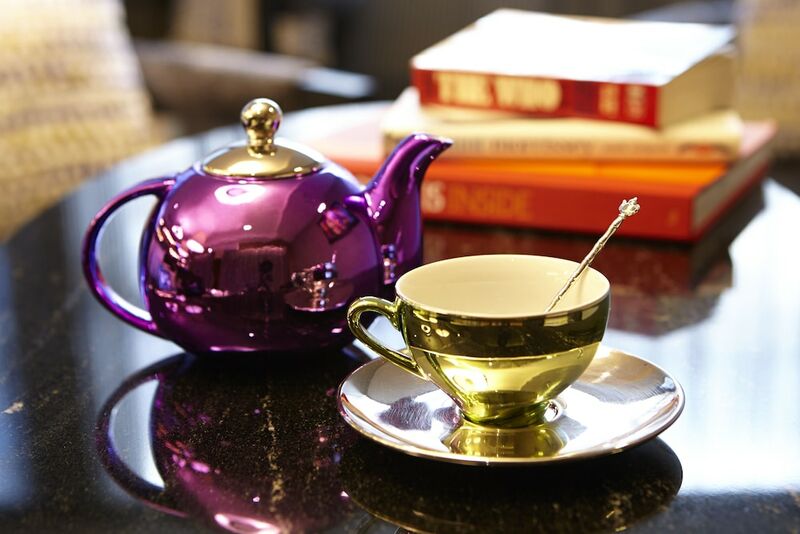 K West Hotel & Spa offers a fun take on afternoon tea with a colourful Glam Rock theme. Everything is served on vintage record covers, and shiny electric blue and pink crockery brightens the table. The meal includes brioche sliders, mini club sandwiches and a generous selection of sweet treats, including macaroons, mini cheesecakes and sorbet cones. For an extra fun touch, swap your tea for a tray of rainbow coloured tea-infused cocktails. The K West Hotel is close to Westfield London and the Shepherd’s Bush Empire, so you could combine your afternoon tea with a spot of shopping or a date at your favourite gig. In honour of its location near London’s Science Museum, The Ampersand Hotel offers a science-themed afternoon tea experience, where cakes come shaped as planets, you can eat jelly out of petri dishes, and there’s chocolate in the shape of a spaceman. It’s one of the most unusual tea experiences in the capital, and a great one to experience with children. The hotel even offers a special kids’ version called the sci-fi tea. And if science isn’t your style, you can also opt for an equally delicious traditional afternoon tea. The Prêt-à-Portea at The Berkeley bases its entire afternoon tea on the latest catwalk trends, colours and styles. The chef takes inspiration from the season’s fashions and reinterprets them into exquisite pastries and deserts – think bikini-shaped biscuits and layered desserts that mimic a stripy dress. The attention to detail is incredible, right down to the little takeaway boxes in the shape of handbags. Also included are savoury treats, such as elegant canapés and traditional tea sandwiches, and there’s a scale of different prices dependent on the champagne you choose to drink. Have a look at our hotels in London page for more options.